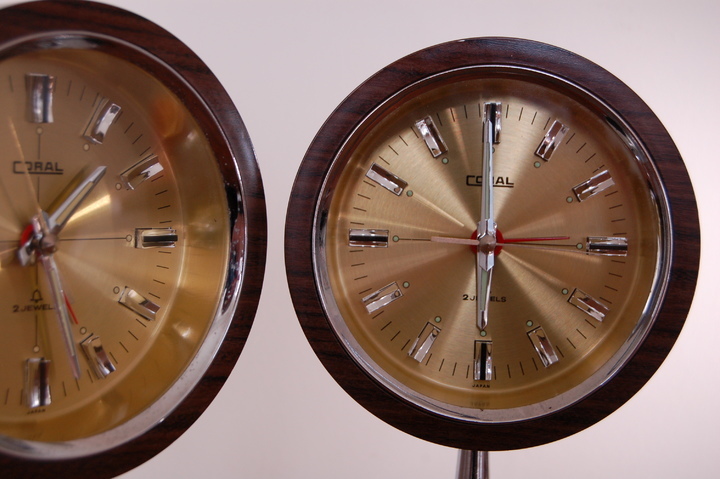 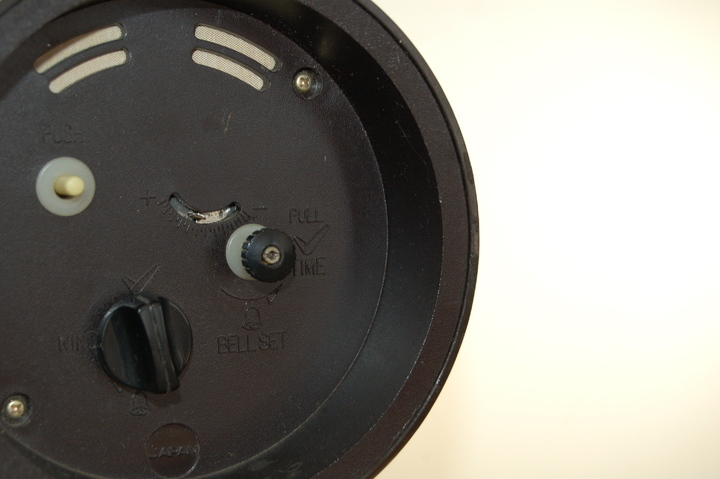 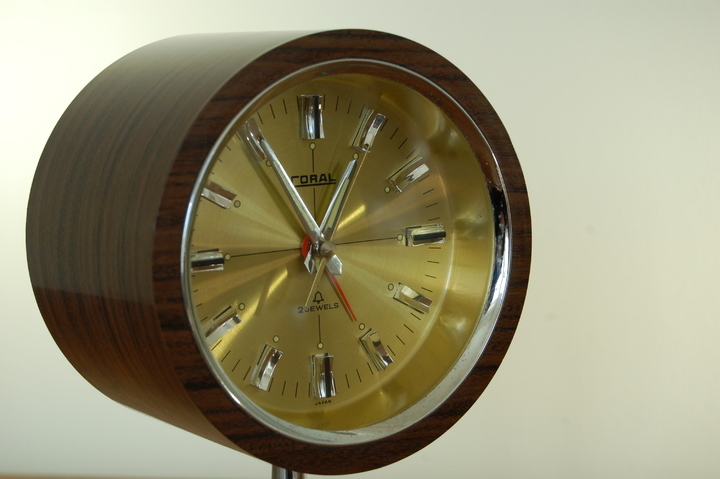 REDUCED: pair of teak-effect barrel alarm clocks on chrome pedestals - gold face, second hand, luminous hour and minute hands and luminous dots. 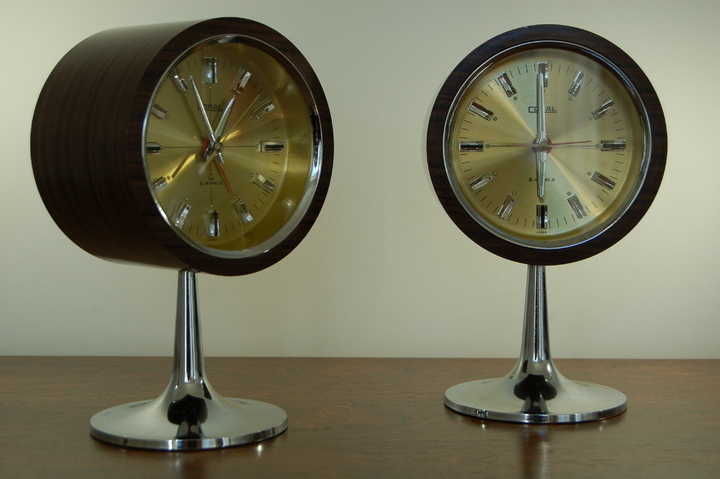 Wind-up clockwork (36hrs), run to time with quiet tick. 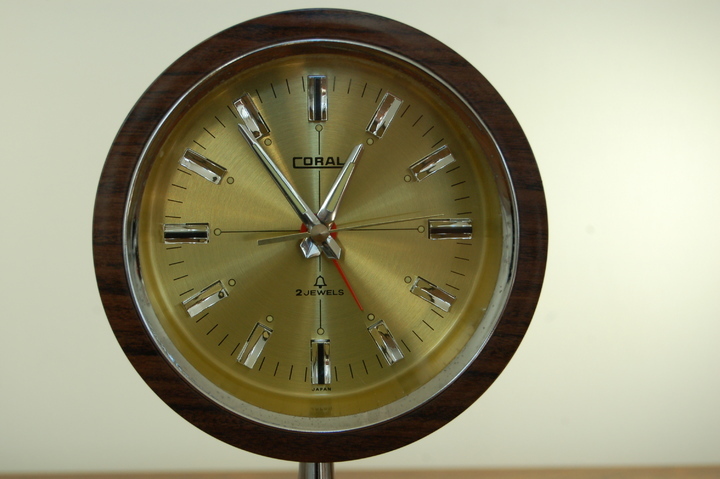 Manufactured by Coral, Japan. 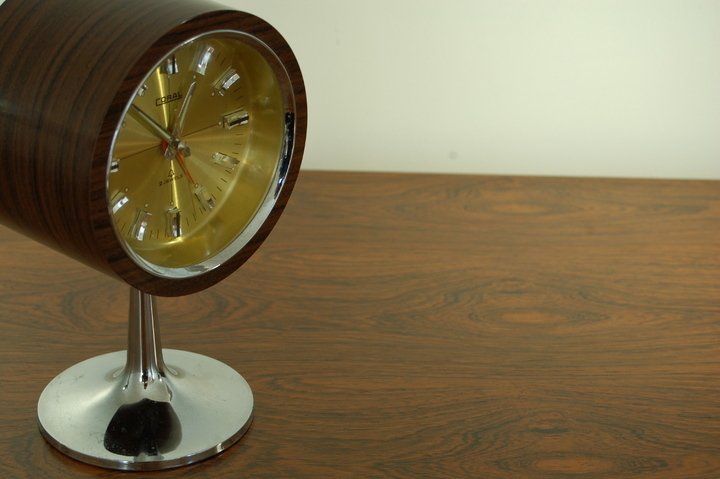 Excellent condition and fine looking 70s collectibles.